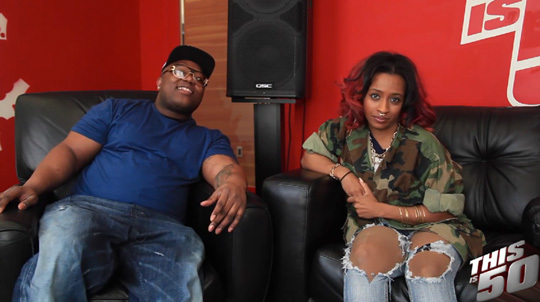 Shanell recently sat down with Young Jack Thriller from ThisIs50 for another one on one interview about her 88 Keyz collaboration project with producer Zaytoven. The Young Money Princess also spoke on her “I Can Be Your Stripper” single, the movie Finesse, her biggest misconception, rumors of being pregnant with one of Lil Wayne‘s babies, “Hugs & Kisses” with Bankroll Fresh, owning sexuality, and more. You can check out their full conversation in a video after the jump below! Shanell recently sat down for a one on one interview with DJ Smallz to chat all about her collaboration mixtape with producer Zaytoven called 88 Keyz. 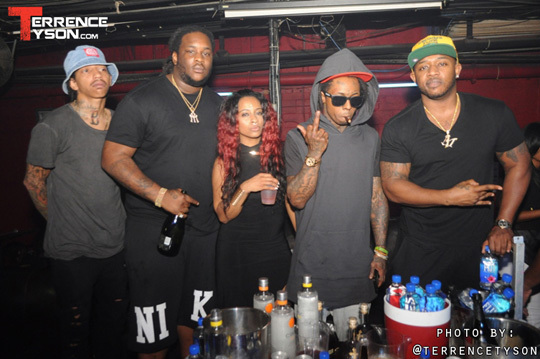 The Young Money Princess explained the meaning behind the project title, the artwork for it, why she got Lil Wayne to host it, the stories behind each song off it, and more. During the conversation, which you can watch below, SnL also spoke about the features on 88 Keyz, her 4 Christmas mixtape, and what her relationship with Zaytoven is like! In this post, you can get a behind the scenes look at Shanell‘s music video for her “I Can Be Your Stripper” remix featuring T-Pain that was shot in Atlanta, Georgia back in 2015 by G Visuals. If you have not yet seen the official visual for the “I Can Be Your Stripper” remix, click here to watch it. 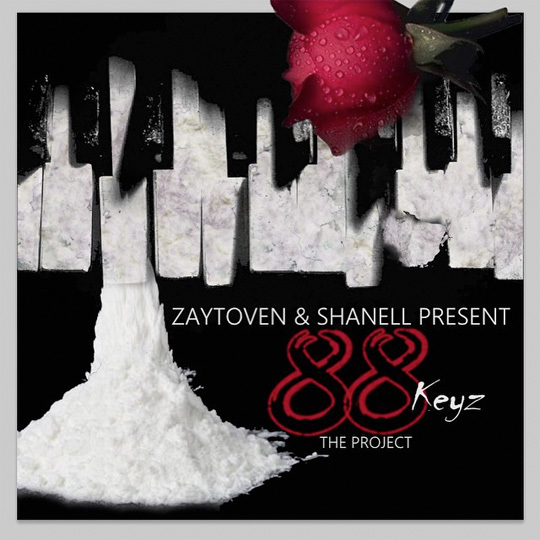 Click here to also download SnL and Zaytoven‘s joint project, 88 Keyz, which this song appears on. Hit the jump to check out the behind the scenes footage! Check out the official music video for Shanell‘s “I Can Be Your Stripper” remix featuring T-Pain below. The visual was shot at Dreams Gentlemen’s Club in Atlanta, Georgia back in June, 2015. Click here to view some behind the scenes photos from the video shoot. The Zaytoven-produced song can be found on SnL‘s latest project titled 88 Keyz, which you can stream and download here! 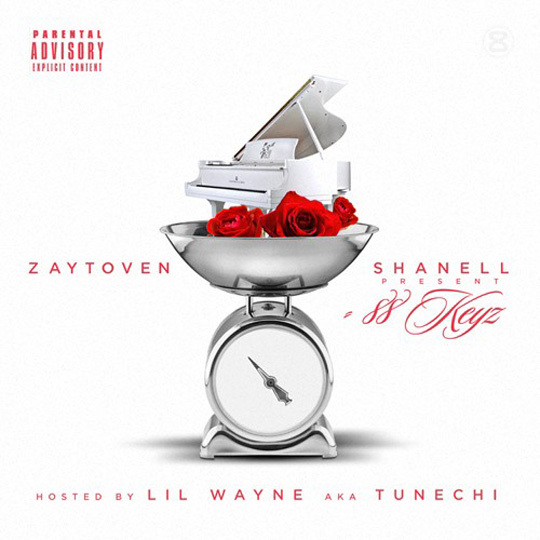 After first hearing about this collaboration mixtape around 1 year ago, Shanell and Zaytoven have released 88 Keyz that is hosted by her Young Money boss Lil Wayne. The project consists of 11 songs with 3 interludes from Weezy, all production from Zaytoven, and features from T-Pain, Bankroll Fresh, and Mr. Vonsway. You can stream and download SnL‘s 88 Keyz tape after the jump below, as well as view the full tracklist! Shanell and producer Zaytoven were supposed to release 88 Keyz yesterday. However, their joint project that is being hosted by Lil Wayne got pushed back until this Tuesday (January 19th). While we wait for the new date, the Young Money Princess has revealed the official mixtape artwork for 88 Keyz that you can see above and the official tracklisting that you can see below. The collaboration mixtape will include 3 interludes from Weezy, as well as features from T-Pain, Bankroll Fresh, and Mr. Vonsway. All of the songs on the project are produced by Zaytoven too! Shanell has announced that her forthcoming joint project with producer Zaytoven, which is titled 88 Keyz, will finally be released this Friday on January 15th. The collaboration project will be hosted by Lil Wayne and also include features from T-Pain and Bankroll Fresh. Hit the jump to watch a trailer for 88 Keyz and to also hear SnL chat about her upcoming project!